If you run a florist or own a flower shop, it's likely there are certain aspects of your business that you want to protect from financial and physical risks. Whether you’re safeguarding physical assets against damage or theft - or looking to provide a safety net for your company’s finances - taking out comprehensive business insurance can help you to protect the things most important to you. Buildings insurance will most likely form an important part of your flower shop insurance policy if you own the building in which your business is based. It can cover you in the event of damage to the building following events such as fire, flood or malicious damage. If you rent your business premises, however, the responsibility of insuring the building lies with your landlord. It is worth checking that they have done this and hold a valid insurance policy. Even as a tenant, you can protect any fixtures or fittings you’ve paid to install with tenants improvements insurance. You might also consider purchasing glass cover, or shop front cover, as part of your florists insurance package, which can help pay for repairing or replacing windows, signage, window decals and the shop’s awning in the case of damage due to unexpected strong weather or vandalism. Whether you own or rent your business premises, you may want to purchase contents insurance, which can help finance the replacement or repair of the contents of your shop – including counters, shelving and flower pots. While contents insurance can cover the entire contents of your shop, you might want to specifically target the cash register, computer equipment, coolers and heaters – and the tools used in your trade – by purchasing tools and equipment insurance. This can help cover the cost of replacing or repairing your business equipment in the case of damage, theft or breakdown. As your business involves fresh flowers, you’re likely to have a daily turnover of stock. It is important to include stock insurance in your florist insurance package, which can help cover your financial losses in the event of damage or destruction to your stock, or in the event of theft. You might also benefit from purchasing seasonal stock insurance which compensates for the increased cost of stock during your busiest times. If you regularly make personal deliveries or otherwise need to transport your flowers, for example, from the place you buy them; along with any other related materials, tools and equipment, goods in transit insurance can help cover the costs that may arise due to loss or damage to your goods while they’re being transported. Due to the nature of your business, you’re likely to have customers and clients visit your shop on a daily basis. Public liability insurance can provide financial help if a member of the public is injured or their property is damaged while visiting your business premises. You might also want to extend this cover if you regularly attend exhibitions or work outside of your business premises. You may also want to purchase product liability insurance which could provide financial support if your customers make claims against you for being injured or falling ill due to your products. As a florist this may seem unlikely, but it could be covered in your flower shop insurance package. Click the link for a more comprehensive public liability insurance definition. Or, if you would like to learn more about product liability cover, click the link to speak to one of our product liability insurance brokers. Whether you run a small flower shop or manage a chain of stores, you are legally required to purchase employers’ liability insurance if you employ contractors, casual workers or full-time staff – both paid and unpaid. This cover can provide financial assistance to defend against, and pay compensation for claims made by your employees that they have been injured or become ill due to their employment with you. You can also protect yourself against fraudulent acts committed by your employees – for example theft. 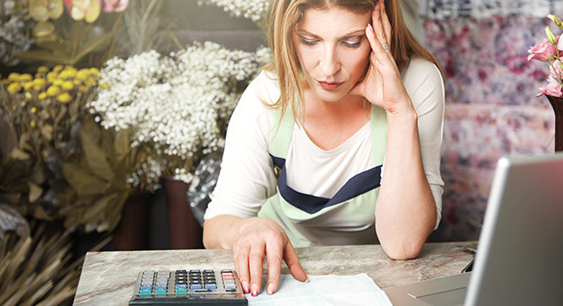 Employee dishonesty insurance can help cover any financial losses you suffer in this situation. What florist shop insurance do you need? Each business – and each florist – will have different circumstances, different needs and be exposed to different threats. As such, it’s unlikely that the make-up of two different florists’ insurance packages will be identical. Your insurance should be tailored to your business’s specific needs. The main thing to remember when taking out insurance for your shop is to identify the assets that you deem most susceptible to the risks your face and insure against those eventualities accordingly. For example, your premises may be in a location that is particularly prone to flooding, and so protection against flood damage will likely form an important part of your florist’s insurance package. Similarly, if your business is involved in a number of activities outside of day-to-day trading – for example if you host events at key times of the year like Valentine’s Day or Mother’s Day – then your insurance will need to reflect this. It’s also important that you inform your insurance broker of any specific activities your business is involved with that could distinguish you from a typical florist. The more your insurance broker understands about your business and its activities, the better they will be able to tailor cover to your needs. Before purchasing florists insurance, you should read the exact wordings of the cover carefully, and make sure that you completely understand its scope and limitations. If there is anything that is unclear or that you have doubts about, your insurance provider should provide more detail for you. Get in touch with Make It Cheaper Financial Services for your bespoke business insurance quote. Our team of insurance experts make it quick and easy to get the florist insurance that you need, enabling you to focus on running your business. Call us on 0800 970 0077, or click the ‘get started’ button below.